In the mainframe sector, outsourcing is as common as shrinking budgets and higher software costs. Many organisations have handed over their entire mainframe hardware, operation and support to external providers; including many Australian Commonwealth agencies. In fact only 79% of respondents to the Arcati 2010 Mainframe survey ran in-house mainframe data centres. Other organisations outsource only a part of their infrastructure or support, such as their network infrastructure or COBOL application maintenance. Recent offshoring developments have only accelerated outsourcing interest. Organisations that haven't outsourced their mainframes may still face many of the same outsourcing issues. Often one department operates the mainframe on behalf of others; or blocks of work are given to different departments, or even a division in a different country. But regardless of how it works, outsourcing customers are paying for a group or company outside of their control to operate, maintain or develop services and systems. Many outsourcing customers are not satisfied with their outsourcing services - as many as 30% according to a 2008 Deloitte Consulting report. However all outsourcing customers can get more from their outsourcing arrangement: from improved stakeholder experiences and reduced costs, to better provider relations and service. This article shows nine ways that help make this happen. In any outsourcing agreement the outsourcing customer will include a large number of stakeholders, or staff that rely or work with the outsourced services or systems. These include the more obvious stakeholders: end users, help desk staff, applications developers, security administrators, and auditors. Less obvious stakeholders include enterprise architects, technical staff (and other outsourcing providers) supporting systems that interact with the outsourced service, and developers of new solutions relying on outsourced services. Are service costs fixed or usage-based? If usage based, how is the usage measured, and who does it? Is the cost of measuring this usage included, or does it cost extra? What isn't included, and how much does it cost? What additional costs (like software licensing, hardware support, environmental) are paid by the customer? Can other providers be used, and if so on what terms? What services levels are to be provided, and what happens when they're not? Again, who measures those service levels? Just as importantly, the contract must be understood by all stakeholders. Often stakeholders are unpleasantly surprised by unexpected issues (such as downtime, reduced service levels, or unexpected problems) or extra costs for services not included in the original contract. The terms of the outsourcing agreement. Service levels achieved, and if they meet agreed service levels. Upgrades, changes or improvements before they occur, and what this means. Any changes in the outsourcing agreement. How to get help or assistance, and how much this may cost. Regular contact with stakeholders is also important, getting feedback on the outsourced services and other problems that may not have been reported. Every outsourcing customer will have a regular contact supplied by the provider  to answer questions, help with contract issues, and refer questions to the relevant person within the outsourcing company. However this person is rarely sufficient. Other contacts are often required: a new project needs input from a technical contact, a technical team needs assistance with a performance problem, or an auditor needs a security related contact. The more often such contacts are needed, the more important it is to have them. Not only do these contacts need to be quickly and easily reached, they must be stable. Regular contact with the same person allows stakeholders to develop relationships with provider staff. These relationships are important in a smooth running outsourcing arrangement. Determine the contacts required, and insist on stable contacts from the provider. Requesting work from an external outsourcing provider is far slower than from internal staff. More paperwork must be completed, quotes may be required, and any costs must be approved. But it doesn't stop there. Once the work has been completed, it must be verified, and any payments made. So any requests from the provider must be planned ahead as far as possible. Planning ahead also allows multiple requests to be batched together  it's quicker to do three small changes in one hit rather than separately. If there are costs incurred for these changes, this will also save money. DR tests if they have been done, and if they were successful. Software products  are they upgraded regularly? Backups  is data backed up regularly, and are all offsite facilities being used as needed? Service levels  what is the response time? Are metrics being met? Provider staff  are suitably qualified people looking after the outsourced systems? Invoices  double checking that all charged services and resources were incurred. Regular security audits are essential. Some outsourcing arrangments will include an independent audit as part of the deal. If this isn't the case, regular security audits are even more important than audits of in-house systems. Review vendors that the outsourcing provider may be using. For example, different network providers or electrical contractors. Conduct a performance audit, and considering ways to reduce resource usage. Conduct an audit of all stakeholders, and confirm that they are making use of all services provided as part of the arrangement. Review software licensing costs, and considering cheaper, equivalent software. Contract another external provider to perform services outside the outsourcing contract. Service outages  when and how long. Problems experienced  what, when, what was affected, and how long to fix. 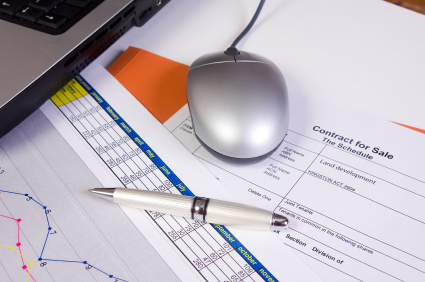 Work requested outside the contract  what, when, and cost. Results of any audits performed. Statistics on performance, workloads, and any other relevant metrics. Any other incidents or issues that have affected the agreement. Provide an independent check of provider invoices and charges. Analyse and interpret provider reports and service levels. Audit part or all of the outsourcing arrangement, and confirm that all services are being provided. Act as an informed liaison between the customer and provider. Assist in managing the outsourcing arrangement. Provide independent advice on how to get the most from the agreement.